Directed by Christopher Olen Ray (2-Headed Shark Attack, Mercenaries), the plot of Circus Kane is one we’ve seen numerous times before: A group of strangers comes together to spend one night in a mysterious scenario, only to be asked to survive the night. 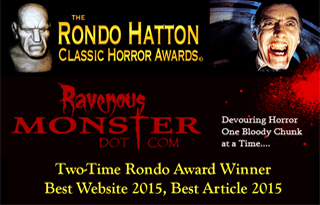 This group of folks is one we can all relate to in the horror community – online talents, memorabilia collectors, and actresses. The only problem is, even though most of the people who are going to watch this film can relate to this cast of characters, none of these characters are easy to like. Balthazar Kane, played exceptionally well by Tim Abell, is the man hosting the night of fright. 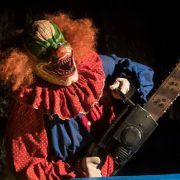 Kane is a circus ringleader who has been out of commission for quite some time but has an idea that he hopes will get him back under the big top: invite said poor souls into his house of horrors and see if they can survive the festivities. Circus Kane plays out like a love letter to the first few Saw films, if they had been directed by Rob Zombie. Visually, the film is appealing, from the aesthetic decisions behind the camera to the look of the characters on screen. While it’s clear that the Rob Zombie School of Horror Film Making is being used fast and heavy during this production, it’s still an entertaining sight to behold. The film doesn’t always find its footing or direction but what it lacks in cohesion at times, it makes up for with entertainment value for the most part. Frankly, when it comes to independent film, that’s really all you ask for in a low-budget horror flick. The film doesn’t take itself too seriously, which helps it all work as well. The ending is uninspiring and it struggles to pull off “the twist” and, ironically enough, that’s the only part in the film where a serious tone tries to sneak its way into the script. 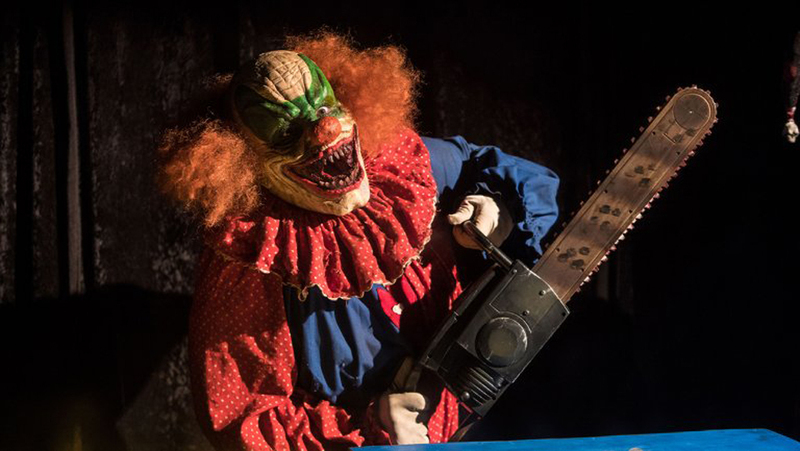 One thing everyone in the horror community can agree with is that we are tired of retreads, and while we’ve seen the basic plotline of this movie before, the thing that really doesn’t jive well with me is the obvious and blatant bites Circus Kane takes from other film’s pies. The guests to the Kane compound are invited via golden tickets (I’m not kidding) and the antagonist uses filmed clips to torment and advise his guests of what’s going on, a la Jigsaw from the Saw series. Several of the traps throughout the death house seem to have been ideas pulled from the editing floor of the Saw series, as well. 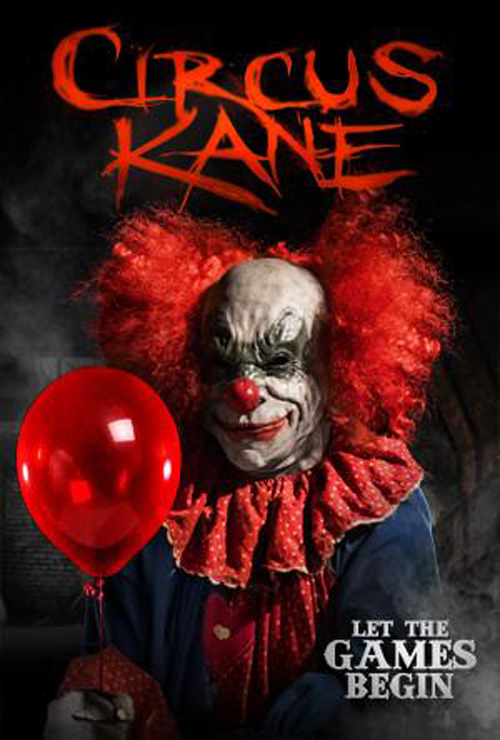 Written by James Cullen Bressack, Sean Sellars, and Zack Ward, Circus Kane gives what you put into it. The nods to other horror flicks tend to get a bit annoying after a while and there really wasn’t a character worth rooting for, which left this movie feeling like a Zombie production even more. If you’re looking for a fun, sometimes gross, sometimes creepy but always entertaining horror flick, you’ll be pleasantly surprised with this one. If you’re looking for anything more than a stripped down and less effective Saw spin-off, you have walked into the wrong circus.